Lost amid the Cain campaign death watch today was this item, reported by Politico: Dave Carney is out as the top strategist for Rick Perry's campaign, replaced by former George W. Bush aide Joe Allbaugh and GOP pollster Tony Fabrizio, who had both been brought in to help right the ship last month, albeit with Carney still technically in the chief strategist slot. Now, assuming one doesn't think the GOP primary Ferris wheel has another turn in it, then it may not matter much just exactly who is calling the shots as Perry spends down that $15 million after one of the most memorable campaign flameouts in his history. Still, Carney's departure from Austin -- he will keep a hand in Perry's operations in his native New Hampshire, Politico reports -- bears a bit of attention as a capsule of just how fast and far Perry's prospects have fallen. When I visited with him in Austin just three months ago, Carney was looming (literally -- he's a hulking guy) as one of the fledgling campaign's greatest assets. 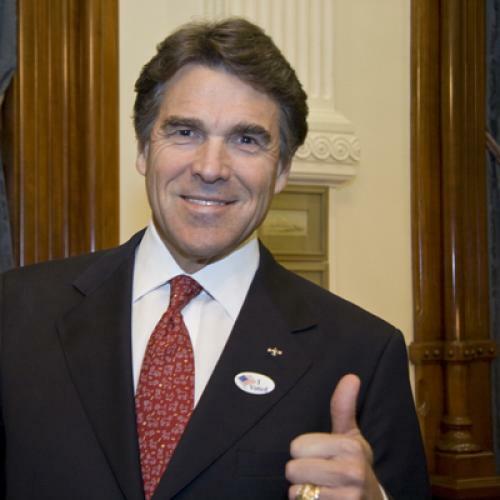 Many Texas insiders credited him for Perry's remarkable rise -- he'd joined up with Perry for 1998 run for lieutenant governor, when George W. Bush made clear he was going to need Karl Rove, who'd worked with Perry in the past, for his own reelection campaign. Carney steered Perry through three successful reelection campaigns after that, culminating with Perry's obliteration last year of Kay Bailey Hutchison, despite her strong support from the Bush network and many others in the state's Republican establishment. The irreverent, often-caustic Carney developed a reputation as the ultimate tactician, so focused on perfecting his methods that he even resorted to the dread lib'rul academy, recruiting several top political scientists to test various advertising and outreach strategies during Perry's 2006 campaign. Mixed in with all the praise for Carney I heard one cautionary note from several Austin insiders: because of Texas' shift to one party dominance, Carney and Perry had learned to run a certain kind of campaign: appealing heavily to the narrow band of hard-core primary voters to stave off more moderate Republican challengers (like Hutchison) and then relying on the state's Republican tilt to hold on in the general election, even if many moderate Republicans stayed home or even voted for the Democrat. It was a turnout operation, with little need for the kind of persuasion of a broader electorate that Perry would need on introducing himself to voters nationally, even just within the Republican primary. And Perry and Carney had been able to set the terms of the contest in ways that just weren't possible in a national campaign, such as keeping debates to the barest minimum and, in his last campaign, not attending a single interview with newspaper editorial boards. Bill Miller, a longtime Austin political consultant and friend of Perry's told me of the transition to the bigger stage, "I don't believe it'll be seamless." No, it hasn't been. And now Carney is headed back to his hometown of Hancock, N.H. The Perry campaign insists to Politico that Carney is still on board, and that's plausible, given how close he is not only to Perry but to Mike Toomey, the former lobbyist and Perry chief of staff who is now overseeing the SuperPAC suppporting Perry -- and with whom Carney co-owns an island in New Hampshire's Lake Winnipesaukee. If Carney is indeed going to be in charge of Perry's campaign in New Hampshire, he's got his work cut out for him there. Perry barely registers in the polls in the Granite State, was declared "woefully unprepared" today by the state's largest newspaper and made what former state GOP chairman Fergus Cullen noted today was the odd decision to have Perry campaign in the state with Joe Arpaio, the Arizona sheriff whose notorious anti-immigration tactics may not be the best fit for New Hampshire voters. In his quieter moments in New Hampshire, Carney will be able to contemplate one of the finer ironies of the 2012 Republican campaign: before he took the helm of Perry's campaign in August, he and another Perry adviser-to-be, Rob Johnson, had been working for a candidate whose campaign was obviously going nowhere and was therefore eminently quittable: Newt Gingrich.